During addiction treatment in a drug rehab, it is important to replace bad habits with healthy habits. A lot of what you learn, apart from uncovering the root cause of your substance use disorder, are coping skills and tools to help you get through obstacles and regulate emotions. There are many therapeutic avenues we will help you explore at Royal Life Centers at Chapter 5, including adventure therapy, activity therapy, and equine therapy. All of the therapeutic processes involved in these therapies are stress reducing and assist greatly in the addiction recovery process. Creating art is a great creative outlet of self-expression. Using any medium, the process of creating artwork provides stress relief and relaxation. Also, the resulting artwork can be a great visual representation of how you felt or what you were thinking about in the moment of creation, providing a great tool for self-reflection. Taking a bath is a form of hydrotherapy. The warm water will provide instant stress relief, and adding things like bubblebath or essential oils will create a full sensory experience. Journaling is a therapeutic activity that can provide a lot of stress relief. Journaling is a great outlet for any pent up thoughts and feelings that you want to get out, without necessarily having to share them all. Let your journal be a safe space to relieve any anxieties, ruminating thoughts, and emotions. 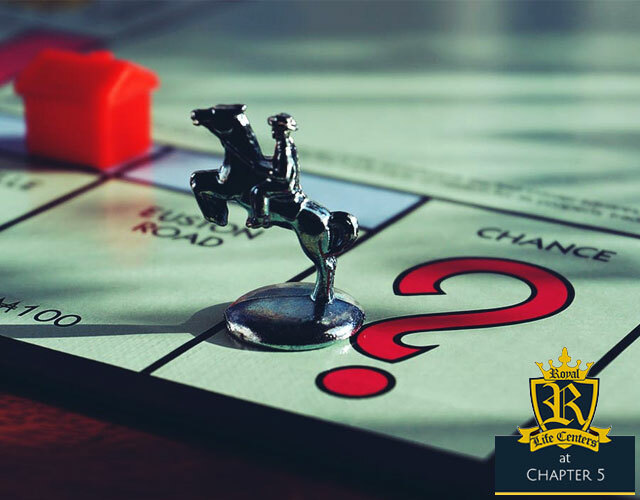 Playing boardgames can seem rudimentary, however, it is a great way to have fun and relieve some of the stress you’re feeling. The social interaction aspect, coupled with a clear objective, makes playing a board game a great way to spend time. Playing a game is a stress management skill that will prove to be beneficial once you are out of treatment too! Going for a walk will get your blood pumping and allow you to clear your mind. The activity itself promotes physical wellness, but also mental wellness. Walking will reduce your stress level and also give you endorphins— which make you feel amazing. Collaging or scrapbooking is a therapeutic activity that can help to relax and relieve stress. The methodical routine of picking images that speak to you, cutting them out and placing them on a board will help you clear your mind and give you small tasks to focus on instead. Focusing on positive visuals will also improve your mood, and put you in a happier mindset. Drinking a cup of warm tea is one easy way to practice mindfulness. Focusing on how each of your senses respond to the cup of tea is being mindful, or in other words, asking yourself what you taste/see/smell/feel/hear through out the time you spend drinking your cup of tea. The warm liquid will instantly relieve stress and tension that you may feel. Taking a few minutes each day to sit down in silence, checking in with yourself at the present moment, is a great stress reducing activity. Meditation has a wide variety of benefits for the mind, body, and spirit in addition to relieving stress. Practice deep breathing as you clear your mind, focusing on the present moment as you sit. Music is powerful, especially for those in recovery from addiction. Listening to music can produce a measurable effect on us. Songs with faster tempos and beats actually help us focus and will increase our blood pressure. Songs with slower tempos and softer beats can trigger what is called a “relaxation response,” which essentially tells our bodies to relax, relieving stress. Choose slower songs with softer beats for relaxation, a lowered heart rate and lowered blood pressure. Practice yoga to relieve stress and promote mental, physical, and spiritual wellness. Yoga is a great way to get in touch with the connections between mind, body, and spirit. Yoga provides many benefits, including relieving stress, increasing self-awareness, and is actually proven to rebuild neuronal disruptions in the brain caused by substance abuse. Along with our behavioral therapies and other intensive therapies, these ten activities mentioned above are great coping skills to have inside an addiction treatment center, and for your life after treatment. Alcohol and drug abuse requires learning a new way of living, with skills and tools to use in times of distress. Our programs support long term recovery, which is why we encourage guests to explore therapeutic interests and find out what they enjoy doing. Royal Life Centers at Chapter 5 offers a residential inpatient program, which is our 2-week program that is at an inpatient level of care. Usually our guests who completed our medical detox program choose to continue treatment with us in our residential inpatient program. Royal Life Centers also offers other treatment programs, including: medical detox, a partial hospitalization program (PHP), an intensive outpatient program (IOP), an outpatient program (OP), sober living and graduate housing. Royal Life Centers at Chapter 5 provides comprehensive addiction treatment. Each guest is assigned with a case manager, who will help them through out their stay with anything from applying for government assistance to handling ongoing legal issues. Guests will also be given a primary therapist who they will be working with through their stay with us. Our goal is to give each guest the care, skills, and tools they need to rebuild healthy, happy, and successful lives in sobriety. If you or someone you know is struggling with an addiction to drugs or alcohol, please don’t hesitate to reach out to our addiction specialists at (877)-RECOVERY or (877)-732-6837. Our team is available to take your call 24 hours a day, 7 days a week. Because We Care.